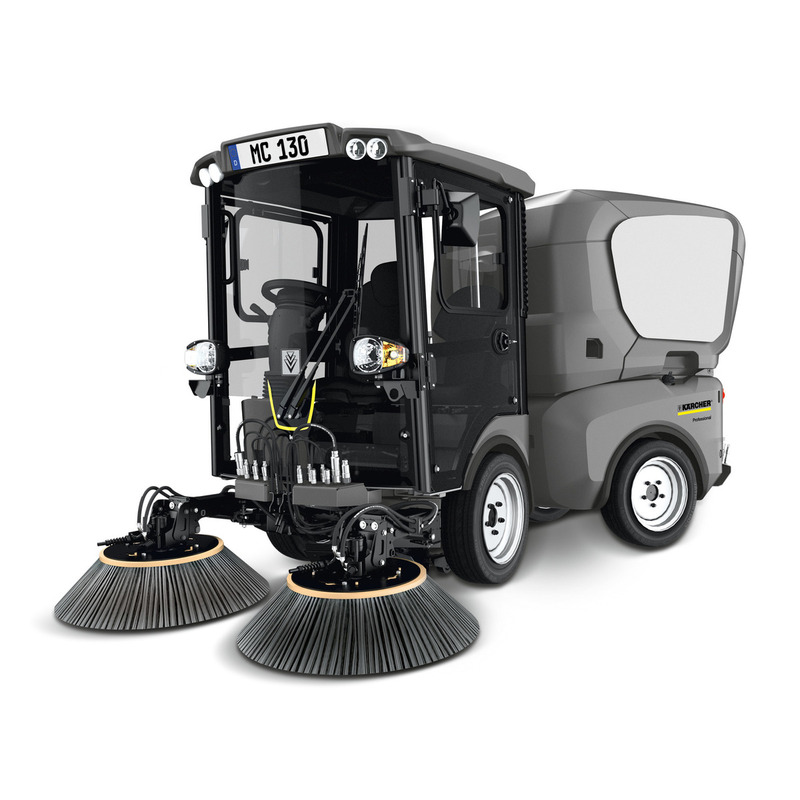 City sweeper MC 130 3.5-tonne class sweeper with 1 cubic meter capacity and a 2-seater cab. The versatile device with economical eco!efficiency mode is ideal for year-round use. The compact MIC 130 is a 3.5-tonne class device and is the only 2-seater sweeper in this market category. The convenient 2-person cab offers a perfect all-round view and a pleasant working atmosphere from January to December. The hydrodynamic 4-fold suspension ensures low-vibration ride comfort and a low noise level. The unique multifunction display integrated in the steering wheel is always in view of the driver during operation. The control elements on the ergonomic arm rest enable easy brush control. The generous sweeping container can be quickly mounted or dismounted without tools using the integrated, hydraulically tiltable attachment frame. The brush system can also be removed via trolley in no time. Operators can switch to the automatic sweeping operation of the economical eco!efficiency mode, which guarantees the best sweeping performance and efficiency with optimal motor speed and hydraulic performance. The permissible total weight of the MC 130 is less than 3.5 tonnes. This enables use on pavements without any problems. Operators require a category B driving licence.